Good morning! 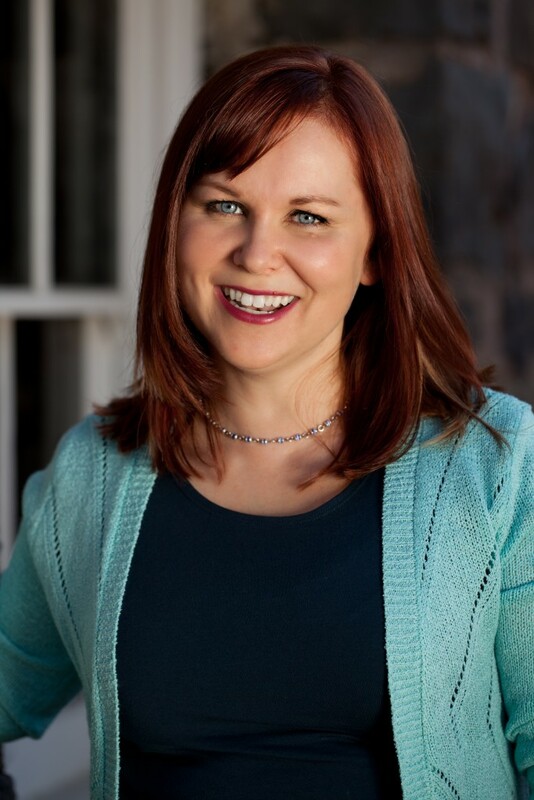 Our Thursday Quick-Write guest author today is Heidi Schulz. 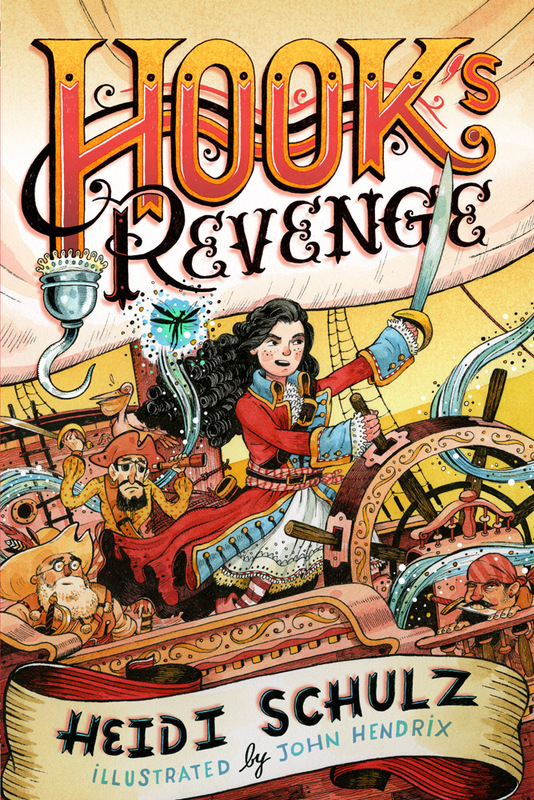 Heidi’s the author of HOOK’S REVENGE, and its sequel, HOOK’S REVENGE: THE PIRATE CODE, comes out in September. Bloomsbury Kids will publish her picture book debut, GIRAFFES RUIN EVERYTHING, in Spring 2016. Heidi joins us today to talk about creating compelling characters. No matter how compelling a story’s premise, if the characters fall flat, your reader will quickly lose interest. However, creating characters that come alive on the page is not always easy. Here are my best tips for doing so. You should know a myriad of details about your characters. Not every fact will make its way to the page, but knowing these particulars will inform the way you present your characters. One way to learn about your characters is to write about them, creating scraps and scenes that have little to do with your plot, but much to do with exploring the character. Do these exercises with all the characters in your story—main and supporting. Getting to know their interior lives and motivations will enrich your writing and cause you to fall head over heels in love with them. You will find each player fascinating. That interest will come through in your writing and compel your readers to feel the same. We all familiar with character clichés like the popular cheerleader, the bullying quarterback, the nerdy girl who becomes beautiful, the socially awkward math whiz, the scrappy orphan, the Chosen One, or the good-hearted criminal. Perhaps your character fits in one of these categories, but reading about him/her will be flat and dull unless you find a way to subvert expectations. What is unique about your character? Insert a bit of the unexpected to catch and hold your readers’ attention. Taking examples from movies, look to the way Buffy from Buffy the Vampire Slayer (popular cheerleader) or Will from Good Will Hunting (math whiz) turn clichés on their heads. Even if your characters don’t fit in a standard trope, take some try to fully explore what makes them unique, interesting, and surprising. Voice can be a challenge. How can you make your characters sound distinct: different from each other and different from your own authorial voice? Sit in a public place and listen to the way people converse with one another. Take notes. Some people will be verbose, others far less so. Some will speak in more formal language, others in slang. Some will speak haltingly, weighing every word, others quickly, completely bypassing any brain filters they may have. Knowing what you know about your characters, what speech patterns will they have? Pay attention to character voice in your reading. How does author word choice impact the way you view the characters? Good examples are Felicity Pickle in Natalie Lloyd’s A Snicker of Magic or Doug Swieteck in Gary D. Schmidt’s Okay for Now. Creating distinctive voices takes practice. Try writing a piece of dialog between three or more of your characters, without using dialog tags. Ask a reader to see if they can pick out who is who. What if you have done all these things and you still don’t feel like you have a good sense of your characters? Today’s Assignment: Choose one of the prompts above, and get writing, getting to know your character. If you have specific questions or thoughts about creating characters, post them in the comments and we can discuss further. Good luck with your writing! Good morning, Ms. Schulz and TWer’s! I want to know what’s not fun/good/cool/interesting at Grandma’s! The last question was very revealing about your character and his desire to have a close relationship with his father. Did the interview reveal anything new or surprising? Thank you for the reply. The funny thing is that it lead to a day of jotting down notes about the dad, but I wrote more about the mom. She is the stagnant character in the story (until today). I tweaked some of the events that lead to the underlying conflict with Dad. This is wonderful! I love what you have uncovered here, especially the part about him always keeping his phone nearby, in case his dad calls. Such a wistfulness there. It really makes me want to learn more about this character. I love the glimpses of voice we get here: “That’s easy” “wicked nervous” and the hints we see about relationships (Dad, Grandma, Mom). And I like the tension between what your mc values most (family) and the absence and flux of his family. It definitely makes me want to read more! I agree with all of thee above! I also think it’s cool that you’re showing yourself as a writer as well as a coach. The kids will always remember that! Marley, not main character, but needs fleshing out. Works for cat rescue organization, sort of flat. But once I wrote the questions/answers below, she still seems flat. Any suggestions? Thanks for the exercises, Heidi! What is your main strength? I’m extremely focused. If I believe in something, I give it my all, and then another 100%. I won’t let go until the job is done. Weakness: I have to say it ties into my strength. Sometimes I go too far. I guess you can say I’m fanatical when I believe injustices need to be dealt with. I can step over the line, or get myself in trouble, because I won’t let go. Like a dog with a bone. Or cat with catnip, ha ha. Sense of humor? People say I don’t have a sense of humor. Probably doesn’t show much, they are right. Not much funny in this world that I can see. But I’m not looking for funny either, that doesn’t interest me. What do you want more than anything? As you can probably already tell, I’m pretty directed. I care mostly about righting injustices. I know I should be more well rounded, but that’s just not me. Maybe later I’ll look for a boyfriend, or any friends. I’ve got my coworkers in the war against meanness. That’s good enough for now. My mom always says I’ll be lonely later on, but it’s not later on. I’ve got things that need taking care of NOW. What are you afraid of? I’m afraid of seeing bad things happening and not doing anything. I’d hate myself for that, it’s unforgivable, period. Every waking minute, I think about what needs to be done. Sometimes I feel sort of autistic in my focus, but I don’t care how it looks. There is work to be done. oooooooooooooooooooohhhhhhhh, Diane! I think this is when TW can shine because we campers can give suggestions and ideas. I love your character….she’s scarily familiar to myself. I was one of those kids that my third grade teacher thought needed to “lighten up” because I was so serious! Her methods were a disaster….but those serious kids exist! And, here’s some insight that I can give for you to consider. The personality of Marley may develop humor in the form of sarcasm–wicked wit. Since opposites attract…perhaps the animal that falls in love with MARLEY will have her personality opposite…and the relationship between the two could be quite a story. Maybe the things that make Marley upset….passionately upset are what a new love interest is into? Keep going. I think what you have here is also perfect for Amy Fellner Dominy’s exercise because Marley’s character is so strongly drawn. Let us know more when you get it! Love the idea of sarcastic humor, thanks, Linda! I kept thinking about the humor part and thought she had some dark sense of it, just couldn’t put my finger on it. Ooh, I like her! She doesn’t feel flat to me. I think there is a lot going on with this character. I love how deeply she feels things. I agree that sarcasm might be a good way to round her out a bit. It can be used as a shield for her, and can also be a hook for readers to identify with. I’m thinking of Melinda from Laurie Halse Anderson’s SPEAK. She is a traumatized character, dealing with heavy things. As such, she could have been difficult for readers to relate to, but her sarcastic voice makes her difficulties more relatable for the reader. Keep writing and thinking about what makes this character tick. You’ll uncover more of her in revision. I’ve been on vacation–not sure about Amy Fellner Dominy exercise? Please let me know if I missed that one! I agree with Linda. Your character does not seem flat to me. Her determination can lead her to be inconsiderate of others. This personality is an 8 on the enneagram. You can look into this character type on the Enneagram Institute. When this type is healthy, they can be soft and loving. When they are stressed, they are bullish and strong-willed. Good luck! Marley may fight you at every turn. I’ll check this out, thanks, Margaret! What a great idea! Now I’m thinking about taking the Myers-Briggs test as my characters. I wonder what that might reveal. This character doesn’t feel flat to me. In fact, I think there’s a lot of personality coming through. First, I noticed that she makes some jokes (ha ha) right before she says she doesn’t have a sense of humor. That’s interesting right there. Second, I wonder whether she is that focused, or whether this intense focus, being the righter of injustices is a persona she wants to adopt like a shield. In any event, I like how she seems to have a clear sense of how the outside world sees her (or how she wants to be seen), but she also doesn’t seem to feel like she’s understood or appreciated by her peers. I wonder how she came to care so much about injustice and what’s motivating her. I’m interested to know more about her inner life. Keep going–this is good material to work with. Thank you Heidi and Jane for your helpful comments! Heidi Schultz, thank you for being here! Your quick-write sent me on a google hunt for words and phrases from the time period of my character. Found a TON of great stuff that I have copied and pasted into my notes…..none of which ended up in my WIP that I am pecking away at. But, none of that time is wasted. 1934 was a really tough year in America and I’m sure that the “voice” of that time through the sources I’m reading will emerge after revision, revision, revision. I’m feeling melancholy today — so your upbeat tone and feel to the quick-write is much appreciated. My character is living in the Great Depression. So, I really need to remember to find the humor and the smirks of the time……DIDN’t really do that today. My mood definitely impacted my writing time. BUT, I think that the voice of my draft work this morning (always in verse for me) is distinct. I don’t see this piece ending up in my WIP…..but I am glad to have this piece to inform me of what the characters are like. Formatting gets really messed up in a blog comment. The lines with the (-) are italicized and indented in the original because it’s dialog. Hope readers here can imagine that. Thanks again for being here! Love the look of Hook’s Revenge! I’m going to make sure my local libraries have your books. each other at the table. new smiles at each other. Trudy held out her hands. I quickly closed the circle. -more than your grace affords. The first, to step-brother, Simon. There is such a warmness to this, even if the mood is somewhat subdued. And I’m very intrigued by Simon being served first. That’s so interesting; I want to know more! I’m with you: No research or writing is ever wasted, even if it doesn’t make it to the final page. Well done! I agree that there is great warmth here–fire, light, a circle and a blessing. New smiles and hope. But I love that your last lines hint at wanting (in both senses of the word) and the end, with Simon being served first, suggests that this circle (step mother and step brother) is imperfect. Agree. This is a beautiful and heartbreaking piece. Heidi, Thank you for being here today, and for challenging us to truly concentrate on our characters. I’ve posted some answers from two of my characters today, but I know I’ll continue this with my secondary characters as well. What a great exercise! This struck me in right in the heart. Lost mothers is a theme in both of my Hook’s Revenge books. So much fierceness mixed with longing in Lily, and Sister Mary Rose has such a mother’s heart. This is wonderful! Thank you so much. I’m looking forward to reading your books. I have a young boy reader who will love your books. Putting them on my list. Thanks for this exercise. It’s exactly what I needed this morning. For my WIP, a secondary character, the teacher, needs fleshing out. My critique group finds her reactions inconsistent. So I need to get to know her better. Greatest strength: strong passion for teaching. I will work long and hard on a lesson to make sure it is just right. Weakness: a fear of failure. Sometimes in the pursuit of perfection, I lose track of time and forget everyday things such as where my keys are. I burns things on the stove. What do you have in your purse? Everything. Who has time to clean it out? Grocery lists, receipts, a pack of gum, a granola bar for me, ziplock bag of Cheez-its for my boys, 3 sets of keys, and my phone is buried in there somewhere. And yes, I agree, getting to know her better will help with consistency. This character sounds so interesting! Perhaps these feelings may cause her to act in ways that others may see as harsh, but she is really the toughest on herself. The answer to that last question made my heart ache for her. If I can feel that from just this snippet, imagine what readers will feel when you channel her feelings into your work! Nicely done! Heidi – I love your wonderful thoughts and ideas for developing characters, thank you! This will be a fantastic lesson with students. The idea of “getting to know you party games” will really give them an understanding and way to improve their writing. Again, thank you for today’s lesson. I was wondering, do you visualize, or find a picture of your characters physical features i.e. age, height, hair color etc.… before you begin to develop his or her internal characteristics? These are great! I love the questions you asked her, and the answers she came up with. Very revealing! She sounds like a really fun character to explore. I’m all over the place when it comes to visualizing characters. Sometimes I have a very clear picture in my head regarding what a character looks like, right from the beginning. That was certainly the case with Jocelyn in my Hook’s Revenge books. I have also been know to google things like “nine-year-old girl, freckles” to get some visuals and see if they spark anything. Other times the internal aspects of the character are more clear, and physical attributes become sharper as I write and revise. I also have a couple WIPs where I know very little about the characters, internal or external. All I know is plot. The characters slowly reveal themselves as I see them interact. That is my least favorite way of writing. I like to know the characters better, but sometimes the ideas come that way. When they do, these exercises are even more important to help me get a sense of who those characters are. Sheila, I really like this character! So very interesting that she wants to build tall structures and at the same time finds it hard to climb the climbing wall — I wonder if some fear is behind that? My secret wish is to go to school and do things with friends, the way I used to before Mom’s accident. Pretty weird, right? A kid who actually wants to go to school. It’d be simple, if my brain and my body were on the same page. But they aren’t. Whenever I go someplace new, my heart races and my stomach hurts so much it feels like I’m going to die. At least, that’s how it was before we got Whisper. She’s this scaredy-cat dog my parents volunteered to foster. Their latest plan to help me get “more in control of my emotions.” I didn’t want her at first. I’m NOT a dog person. But I made friends with Rebecca who loves dogs and it gave us something to talk about. And then I found out that it wasn’t so bad, having a dog. Especially compared to a lizard, which is what Rebecca’s sister Olive wants for her birthday. I accidentally said I’d help Rebecca plan Olive’s party. And she expects me to actually go!! I can’t. I mean, what if I have a panic attack in front of everyone? Rebecca would find out I’m a freak. She can’t ever know. And this is the good part about Whisper. When I get stressed out, I can talk to her. Tell her anything and it stays between us. She can’t come with me to the party, or to school, but at least when I get home, she’ll be there. I can curl up next to her and we’ll be safe together. Now I just have to convince Mom and Dad to let me keep her. I like this character a lot, Andrea! Oh, I love this—it speaks to me on a personal level. My both aches for your character and her challenges and is warmed by the strength she is finding in her relationship with Whisper. There are a lot of layers to this character! Goodness! My red-eye flight last night is catching up with me. These are great ideas; I’m really thinking of using these with the students in my writing club this year. My creative writing students do something similar to the exercises you’ve mentioned. They love to answer a “20 questions” list for their short story characters. I am also going to try this out with my characters. Since i’m working on a children’s story, and my main character is a quirky kid who is afraid of bugs, I think a list like this would be very helpful. Thank you! Anything that he can’t figure out (until he finds the explanation) such as: strange sounds, UFOs, creepy crawlies, and girls. On his own, about one block from home. With family – on a plane to Florida. In his pocket: a rock, a stick, a gum wrapper and a toy dinosaur. I LOVE the things he has in his pocket. So telling! What do you think they mean to him? The rock is the food for his dinosaur, the stick is the stick the dino fetches for fun, and the gum wrapper is a blanket for the dino’s eggs (from the mouth of my almost five year old son – who is also the inspiration for my story). Love what you’ve shared here about getting to know your characters! The interview prompt made me wonder, “What if my character were playing a game of ‘Would You Rather…’ with some classmates?” I’m off to explore that possibility! Thanks for helping us to think deeply about the who and why behind our characters today! Loving it. That is a great exercise! I had three characters play that game in The Pirate Code, and it actually made its way into the final book! – The farthest I’ve travelled is from the farm to Calgary, when I moved here last month. Before that I hadn’t left our small town. Unless you count traveling in my imagination or in books and stories or on the internet. I do that all the time and I’ve been everywhere. – What I want more than anything is to find a place I can call home. Somewhere I belong, where I fit. To find people like me. – I am most afraid of being alone. Not really being able to connect with people. That I will go through my whole life pretending to be someone I’m not. – My greatest strength is that I’m a dreamer. I see possibilities and solutions everywhere. It’s like there’s a giant screen in front of me where pieces drop and I can move them and connect them in so many ways. – My greatest weakness is communicating my ideas.Growing up in the middle of nowhere didn’t really give me much practice and I have trouble believing that other people will think my ideas are as good as I think they are. I love the answers you came up with! This is such an interesting character. I wonder, if you decide to do more with him/her, what will his/her story be? Great stuff here. Thanks for sharing, Brianne. This character feeling physically constrained, socially isolated, and imaginatively powerful is an intriguing combination. Questions on my mind: How old is this person — at what point in the span of life? What does the character dream of? How might those dreams manifest in the world? What might happen when they do or if they don’t? My WIP is a historical fiction piece and I have a character that I didn’t know or think much about until doing the first part of this exercise. I didn’t want her to fall off into the shadows but I couldn’t really connect with her. After interviewing her, I feel she will be an integral part of this story. What would you say is your greatest strength? My compassion for those who are less fortunate than myself. I work diligently in the Charleston area to secure supplies to help the widows and orphans. What would you say is your greatest weakness? Sometimes taking on more than I can handle. What’s the furthest you’ve travelled? With my husband to New Orleans, Louisiana for business and to visit good friends. What’s the last book you read? My husband loves the work of William Gilmore Simms, being he’s a local legend. I am currently reading The Partisan. It takes place in South Carolina during the time of the Revolution. Most people don’t know my love of all things historical. What do you have in your purse? My purse? Well, a handkerchief, some smelling salts, a packet of rice papers should I begin to glisten, a small mirror, a small bottle of Eau de Cologne, and my lip salve with pink tint. What are you most afraid of? *stares off into the distance* There are rumors flying around that war is coming. As much as I enjoy reading history I don’t want my family to experience a crisis of this proportion first hand. I can’t imagine William leaving us to go off and fight, especially since… we have a secret, and if it is revealed it could do far more damage to our family than a war against the northern states. Now I must go check on the twins before they are put down for their nap. Feel free to show yourself out. Good day. Thank you Heidi for sharing great strategies that can be used to get to know our characters! Love the contents of her purse! I love this! You have her voice down just about right. I can see this character, and imagine her waving a fan to cool off. Nice job! Thanks so much for being here today. My daughter loved Hook’s Revenge, and I’m looking forward to my turn to read it. This prompt is great, and I’ll enjoy interviewing all of my characters. Here are my main character’s answers to some of the questions. My greatest strength? I’m not super great at any one thing in particular. I mean, I’m decent at a lot of things, but not in a standing-out sort of way. If I had to pick something, I’d say that I’m loyal. And I guess you could say that I’m pretty responsible, too. If a teacher needs someone to take something to the office and come right back, I’m usually the one who gets picked. And if you need someone to do something the same way every single time, I’m really good at that. I’d be fantastic on an assembly line. We went to California once and saw the Redwoods and hiked on the John Muir trail. The Real Boy by Anne Ursu. What do you have in your pockets/purse? I don’t carry a purse because who needs to keep up with that, and having things in my pockets just feels lumpy and weird. In my backpack, I always have a pack of hand wipes, a lip balm, a pack of tissues, four mechanical pencils (Bic 0.7mm), and three blue ballpoint pens (not the clicky kind. The clicky kind are the pits.). There’s also a compass/whistle combo clipped on the outside, just in case. For things to be the way they were a year ago. Hi Jane! Thanks so much, and tell your daughter I’m glad she liked Hook’s Revenge! What interesting answers! The things the character has in his/her backpack are very revealing! Thanks for sharing!